Mobile apps are no longer restricted to single platforms. Due to its pricing, Android will rule the platform business, if we talk in terms of sales, and iOS will rule the high-end market. With time, mobile apps will no longer be confined to specific technologies and platforms. Undoubtedly, with the evolution of HTML5, the future of mobile applications will see hybrid mobile application development growth and will work for all trending and new platforms. Every year, mobile application industry is introducing tens and thousands of applications. And, that’s why there is too much pressure on launching mobile apps in the shortest time period without any error. Even businesses are also looking to get in for business-centric applications ASAP. And, the application programming interfaces and software developer kits are making convenient to launch applications in shortest possible time. With time, we will see a sudden rise in these mobile applications and more advanced software kits. With the recent advancements, users are leveraging technology, which in turn, has made users lazy but the best is still awaited. The IoT (Internet of Things) will help us monitor and track things around us via mobile applications. Technologies and trends like Android Wear, Google Glass, Apple Watches and others are just the beginning. Infact, these days we are seeing some amazing models of IoT applications including self driving cars, fridges that can read your tweets and rings that can control everything etc. In time, we will see more of these technologies being used in our daily lives. Today a lot of focus is being laid on customer apps and going forward the trend will head towards Enterprise apps. With time, as enterprises are more willing to shell out money, users are getting what they want. Also, enterprises are also looking to get updated with the latest technology and mobile apps are looking forward to help them do so. In 2015, we have seen number of apps merging with the cloud computing. Now everyone is shifting their databases to cloud. And, ISPs are also pushing cloud storage at a very average price. Even Cloud storage helps end users to sync and access the database from anywhere with no risk of data corruption. Geeks and gurus are anticipating that this trend will continue and will see a number of new and trending cloud computing applications. Nowadays, our day-to-day activities—be it ordering food, groceries or calling an electrician is depending upon the mobile apps. Users find apps a more convenient and easy tool to get them done. These types of mobile apps help to check your location and find the best nearby resources. With time, we will see an enormous rise in location-based apps. With Smartphone becoming more prominent and our dependency on them increases for accessing secured bank applications and other private data. Thus, Mobile security is the next big thing. Even for enterprises where data breaches occur, thus data privacy can cost company fortunes. Thus, mobile security apps will see a much higher demand in the coming years. 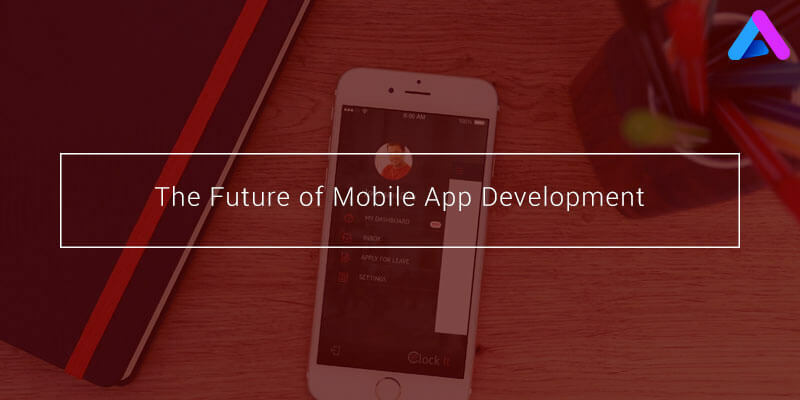 Let’s hope the above mentioned points will help you in speculating the future of mobile application development.